Replacing your Volkswagen vehicle or Audi automobile’s engine oil and filter is one of the most important maintenances you can do. It is also one of the lowest cost services that can save the most money in the long trun when your Volkswagen vehicle or Audi automobile’s engine is significantly more likely to last past 200,000 miles without major repair. How often should you change your oil? There has been much debate on this subject and there are no shortages of opinions. 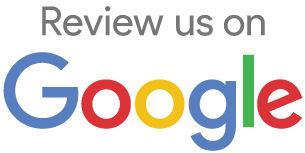 At Volksmasters, we draw from many years of experience with oil change intervals and scientific analysis of used oil to determine an appropriate oil change interval. On a properly maintained Volkswagen vehicle or Audi automobile, we recommend our independent service every 5,000 miles that will include an oil and filter replacement and complete inspection as an added value to save you money. Inspections save you money by finding potential repairs before they cause an inconvenient breakdown or a more expensive repair. We only use the highest quality engine oil that meets all of Volkswagen vehicle and Audi automobile’s specifications for use in their engines. This oil will not break down even past 5,000 miles although due to filter limitations and oil consumption, we have set a safe limit at 5,000 miles. We do not feel that it is necessary to replace it any sooner. In our opinion, the 10,000 mile interval, which the dealer recommends, is a fairly new concept and there aren’t enough studies to prove its efficacy. At Volksmasters, we’ve seen engines burn up to a quart every 1,000 miles. We have also seen expensive issues develop due to dirty oil and sludge. Our experience and oil analysis results show that 5,000 miles is a safe interval. If you allow your Volkswagen vehicle or Audi automobile to operate past 5,000 without changing the oil and filter, you could be increasing the chances of developing expensive engine issues. Changing your oil regularly can also save you money. It’s an inexpensive service that can help your vehicle make it to 200,000 miles without any major engine repairs. At Volksmasters, we offer 5,000 mile maintenance that includes engine oil replacement, a new filter and a complete inspection by one of our trained technicians. 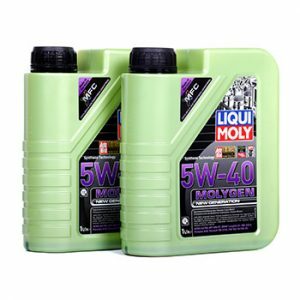 German bestselling brand Liqui Moly, which offers a range of products consisting of motor oils, additives, vehicle care and service products.